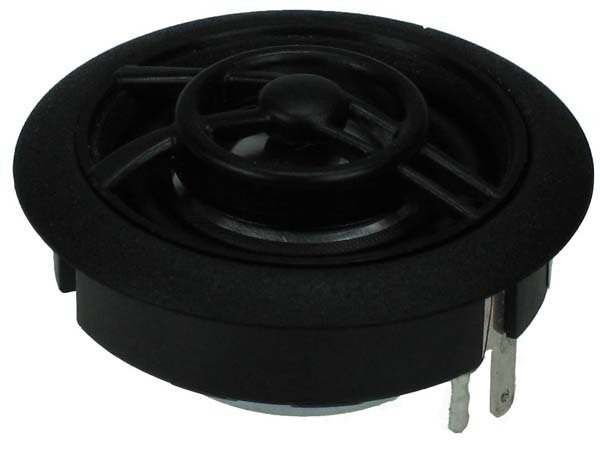 Compact neodymium magnet tweeter for high quality speaker design in small cabinets and automobiles. Wide roll Sonomex surround together with a double chamber magnet system results in a low resonance frequency. 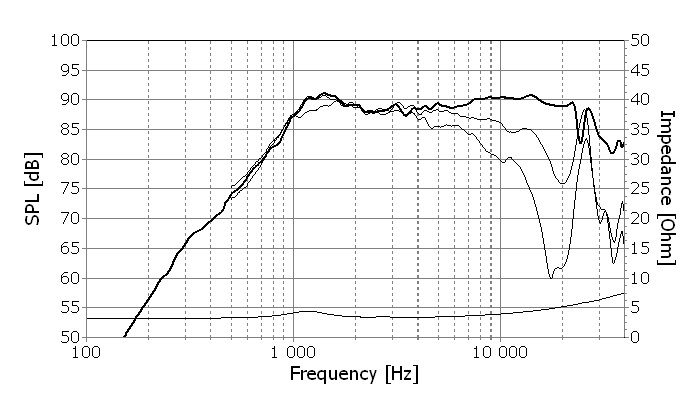 The critically designed diffusor compensates for a slight axial roll off towards 20 kHz and reduces resonances above 20kHz. 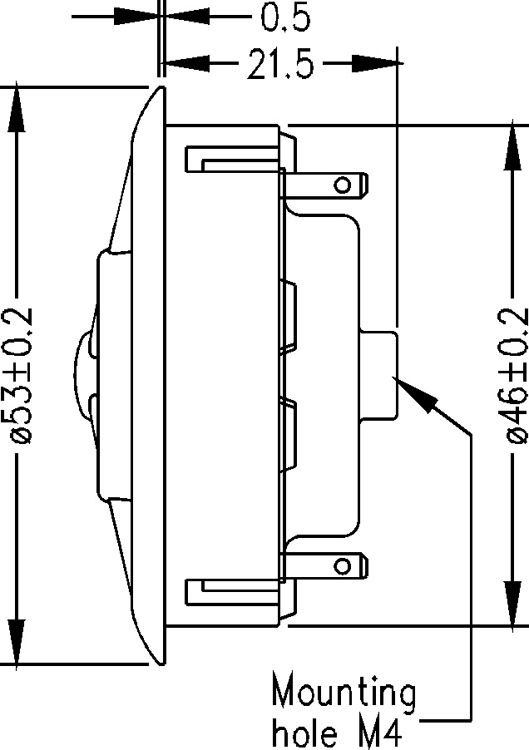 Very low magnetic stray fields makes this unit suitable for A/V systems. Voice coil immersed in magnetic fluid, allowing high power handling capacity and simplified crossover design.